NORWALK, CT—Following the release of an investigative report earlier this week detailing the cramped and unsanitary conditions within its facilities, Pepperidge Factory Farm has come under considerable fire from snack rights groups for its inhumane treatment of Milanos. “This report documents an absolutely appalling environment within Pepperidge Factory Farm, including the use of small, filthy cages that are routinely packed full of helpless Mint and Dark Chocolate Milanos without any paper doilies separating them,” said outspoken snack advocate Amanda Lepore, who called out Pepperidge Factory Farmhands for subjecting the cookies to a disturbing series of treatments that consist of pumping them full of additives, chemicals, and fat. “What’s most tragic is that many of these weak and vulnerable Milanos are so poorly handled and mistreated that they suffer extensive crumbling and even fractures in their biscuit shells, exposing their delicate chocolate and orange-flavored fillings to the elements. 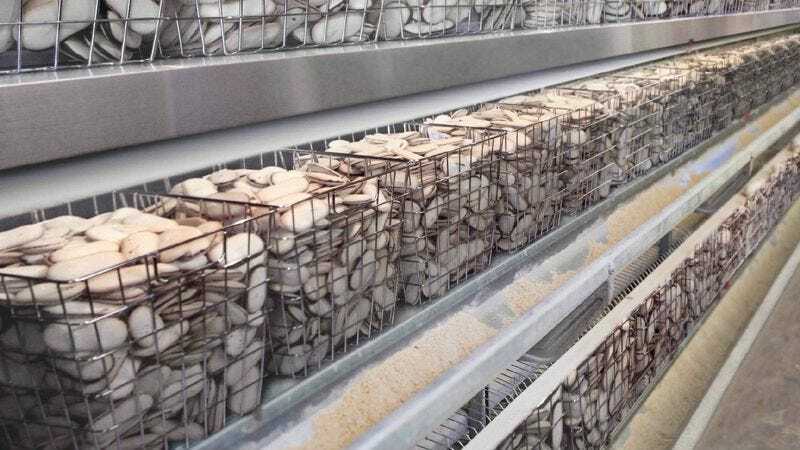 That is no way to treat these sumptuous sweets.” Despite finding equally contaminated and overcrowded conditions in Pepperidge Factory Farm’s Goldfish enclosures, the report noted that every one of the crackers appeared visibly happy and content with its surroundings.